Sep. 16, 2017 10:00 a.m.
Former Guantanamo Bay detainee Omar Khadr has been denied unsupervised visits with his controversial older sister who has expressed support for al-Qaida. Justice June Ross ruled Friday that Khadr and his lawyer, Nathan Whitling, have offered nothing new to allay security concerns surrounding Zaynab Khadr, who is currently believed to be in Sudan. Zaynab Khadr, 37, has spoken in favour of al-Qaida and was investigated in Canada more than a decade ago for helping the terrorist network, but she was never charged. She is reportedly planning a trip to Canada, and the rules of Khadr’s bail allow him to meet with her but only in the presence of his bail supervisor or one of his lawyers. Whitling argued in Court of Queen’s Bench that the restriction is no longer necessary. He said Khadr, 30, is old enough and mature enough not to be swayed by anyone else. He noted that Zaynab “may have made some unfortunate media statements” but there is no evidence of wrongdoing. Bruce Hughson, a lawyer representing the federal government, told Ross that Khadr has provided no new evidence on Zaynab Khadr’s terrorism views that would justify changing the bail rules. Ross agreed. She said the restriction was put in place for a reason and Whitling needs to show evidence — besides the passage of time — to justify amending the order. “The defence has not provided relevant evidence to show a change of circumstances,” Ross said. Outside court, Whitling said that would require an affidavit from Zaynab Khadr who is out of the country. “It’s a possibility I suppose,” he said. Khadr is on bail while he appeals war crime convictions by a U.S. military commission. He declined to make any comment outside court. Whitling said his client was disappointed. 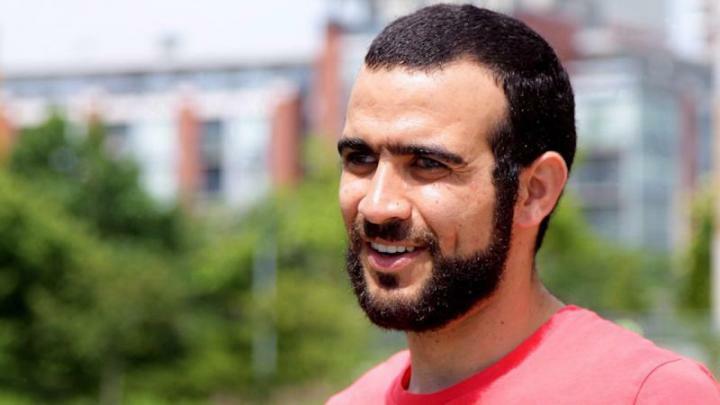 Toronto-born Khadr spent years in U.S. detention at Guantanamo Bay after he was caught when he was 15 and accused of tossing a grenade that killed special forces soldier Christopher Speer at a militant compound in Afghanistan in 2002. In 2010, Khadr pleaded guilty to multiple charges before the military commission, including to killing Speer, but has since said he can’t remember if he tossed the grenade. He has said he entered the plea to try to get out of Guantanamo, where he says he was mistreated, and into the Canadian justice system. He is now married and is moving to Red Deer, south of Edmonton, to begin earning a nursing degree. While awaiting his appeal hearing, Khadr has sought a loosening of a number of bail restrictions. Ross did allow a change to Khadr’s internet use. He had been restricted to personal internet devices and subject to checks. Whitling argued that the internet is available everywhere on multiple devices — at friends’ homes and in public places — and that there is no way for Khadr to avoid it. Ross agreed to expand Khadr’s internet use as long as he doesn’t use the web to seek out terrorist propaganda or organizations. Khadr also needs permission to travel outside Alberta. Whitling said Khadr has made multiple trips to Ontario to visit family without incident and should only have to notify authorities when travelling outside his home province. Ross denied that request. She said the current approach seems to be working fine without undue hardship to Khadr. His 15-year-old case ignited sharp and divisive debate among Canadians over terrorism, human rights and the rule of law this summer when it was revealed the federal government had settled a lawsuit filed by him for a reported $10.5 million.